Whenever anyone talks about Half Pints out of Winnipeg, Bushwakker Brewpub out of Regina, Saskatchewan always ends up being a topic of conversation. Dave, the brewmaster at Half Pints used to work at Bushwakkers way back when, pre-Half Pints. As we all know, that knowledge ended up influencing a change in the Manitoba beer industry. My hockey loving, tornado chasing friend Dallas came to Brandon for St Patrick's day. He brought an entire suitcase of beer to share with his friends. 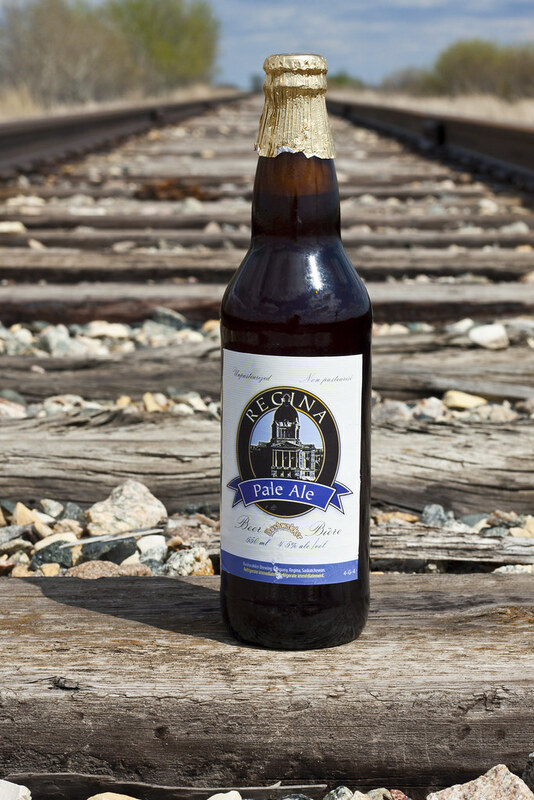 One of the beers he brought was Bushwakker Brewpub's Regina Pale Ale. 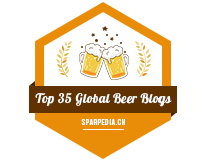 I find pale ales quite a wide variety, first you see pale ales that are similar to golden lagers (Alexander Keith's, Labatt 50), then you see pale ales that are so hoppy that they could pass as India Pale Ales. Appearance: The Regina Pale Ale pours a very amber-caramelly orangey-brown colour, you can't see through it but it's not hazy. The foam is quite thick and lustrous - a beige-cream head that's not moving a bit as I write this review. Lots of bubbling action going on throughout the beer. Aroma: I can't really seem to describe the aroma. It has a somewhat weird aroma to it. Michaelbelieves the strange aroma could be from Regina's water supply. It has a bit of a caramel sweetness from the malt, a bit of a breadiness, a bit fruity. There's not much there for the hops, but a bit floral from what I do notice. Taste: Somewhat bitter, somewhat sweet. There's a bit of butterscotch and fruity sweetness, as well as bit of a light hop bitterness (almost toasty) that lingers on the tongue long after I've taken a sip. There's not much going on here unfortunately. Slightly malty. Overall Thoughts: Pretty average. Not exciting but not bland. It has a bit of caramel and butterscotch sweetness. The aroma is a bit off, but that may be from the water supply. Stronger flavour than a Keith's, but no where near being as strong as my favourite Pale Ales out there (ie Great Lakes 666). It has an ABV of 4.5% and comes in a 650mL bottle. I've tried a few other beers/meads from Bushwakker's before, and they're pretty damned good. That alone makes me wish there was a DAMNED BREWPUB in Manitoba already! It's 2012! My cousin brought me back a brew from Bushwakker a couple years ago with a freaking jalapeno in the bottle. It was AWESOME. And strange. But awesome nonetheless. 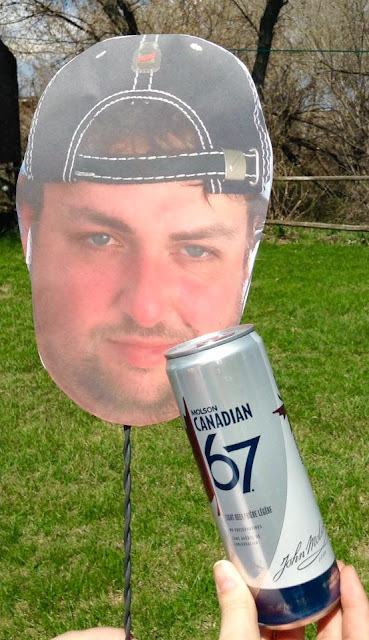 I brought one of those beers with the pepper in it to Brandon this past weekend! It's called "Screamin' Mosquito" and they're usijg a thin red pepper now vs. The Jalapeno. Still nice and spicy! Regina is notorious for its awful water, but thankfully Bushwakker's can turn it into something tasty!